Music Boys Live in Absolute Quality. They are under J.Tune Camp (South Korea) and Sony Music Entertainment Japan (Japan). 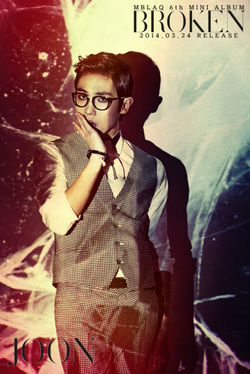 -It was confirmed on January 5, 2012, that Joon would join the cast the We Got Married spin-off 'Pit-a-pat shake'. He was paired with After School's Lizzy. -He appeared in HyunA's MV for "Bubble Pop"
2009: "Oh Yeah", "G.O.O.D Luv"
2011: "Cry", "Stay", "Mona Lisa"
2013: "Smoky Girl", "No Love"